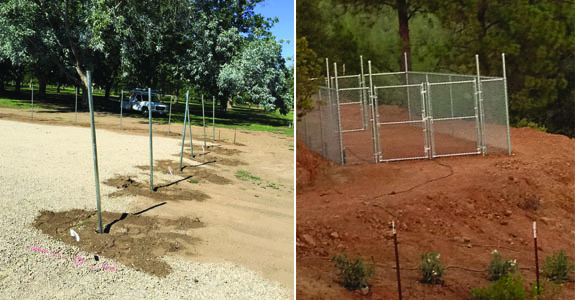 For more than 20 years, Campbell Fence has been the premier local fence contracting company and retail fencing supply store in Oroville, CA, offering unparalleled, personalized service and expertise to customers throughout the area. For all of your fencing needs, there’s no more complete provider for products, expertise and services than Campbell Fence. Whether you’re installing a new fence, repairing an existing fence or shopping for fencing supplies in Oroville, CA, we welcome your patronage and can assist you in any capacity you might require of us! We’re pleased to carry a wide range of products in an encompassing inventory, and our friendly, knowledgeable staff will help you get what you need, whether you’re shopping for raw materials or specific components. Vinyl, chain link, wood and beyond—if it’s a fencing product or material, you’ll find it at Campbell Fence! 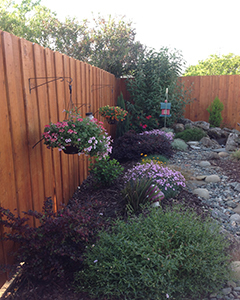 We are a fully licensed, insured and bonded fence contractor in the State of California. We’re proud members of the Building Trade Association (BTA). We’re a Better Business Bureau accredited business, with a superior A-plus rating. We’re a family-owned and –operated company, priding ourselves on superior customer service and workmanship. We have more than three decades of industry experience behind us. "I have had Steve do all of work for me an acre of field fence and some chain link and now he is doing a new gate and gate opener at my house..."
"Great customer service. I would recommend them to everyone"
"Great people to work with glad I called them. This fence will last forever. 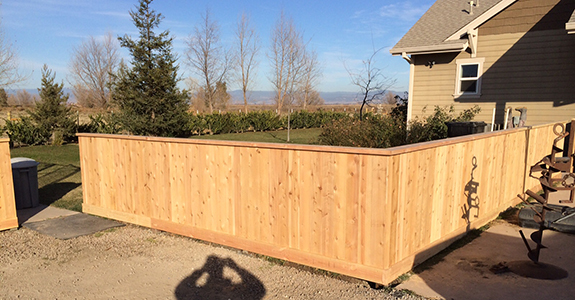 Trust Steve with your fencing projects." October 16, 2017 Ivan M.
"Just had them repair a cyclone fence that was hit by a car. Wow these guys are awesome Clean and courteous! Also great to talk with. Di..."
October 16, 2017 Justine F.
"Love these folks. Can't wait to have them back to do more fencing around my property. I would recommend to anyone needing fencing or gates." If you’re looking to put in a brand new fence or gate, or require the keen eye of a professional to examine your existing installation, schedule a service appointment with us today!